We are continuing to have the strangest weather over here in Southeastern PA. The end of January is usually bitter cold and snowy, but this year we are experiencing temperatures in the 50s and tons of rain. I haven’t seen the sun in three days, but thankfully that is supposed to change by tomorrow. I don’t know about you, but whenever it’s dark and damp outside I find myself craving warming, hearty meals. 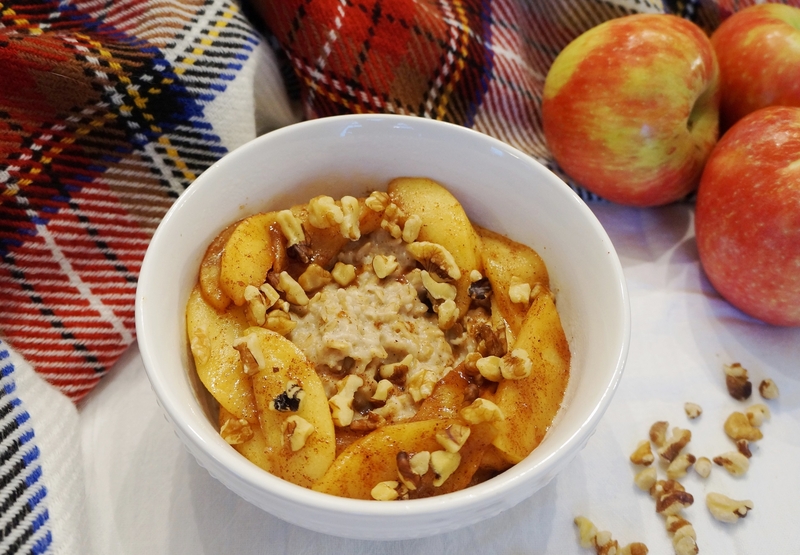 These Crock-Pot Maple Cinnamon Steel Cut Oats are nutritious, warming, and SO easy. It takes less than five minutes to get all of your ingredients into the Crock-Pot and then the oats cook overnight until they are nice and fluffy. The recipe is rather simple so that you can add whatever toppings you prefer. The oats are cooked in coconut or almond milk that is mixed with a little bit of pure maple syrup and ground cinnamon to naturally sweeten and pump up the flavor. I like to top mine with raisins, dried cranberries, walnuts, and a little extra maple syrup, but you can get as fancy as you like with your toppings. This recipe makes six large servings and keeps very well in the refrigerator for 3-4 days, which makes it a great recipe for meal-prepping. I have been eating it for breakfast for the past three days and it heats up very well in the microwave. If you give this recipe a try, let me know by leaving a comment! A NOTE ABOUT OATS: Oatmeal IS naturally gluten free, which is why I list my oatmeal recipes as gluten free. However, if you are following a gluten free diet due to celiac disease or a gluten intolerance, it is important to read the labels of your oats and choose a CERTIFIED gluten free variety (I like Bob’s Red Mill Gluten Free Steel Cut Oats). This means that they were grown, shipped, and processed in a manner that takes special precautions to avoid cross-contamination. Combine all ingredients in a slow cooker and cook for 7 hours on low. Top Crock-Pot Maple Cinnamon Steel Cut Oats with preferred toppings. *if you prefer creamier oats, increase amount of coconut milk to 4 1/2 cups. Is there anything that screams Fall more than warm cinnamon apples? I thought of this recipe the weekend of Hurricane Matthew. Here in Southeastern PA, we were not in the path of the hurricane at all, but we did have a rainy and chilly weekend. When I woke up on Sunday morning to a dark sky and lower temperature, all I wanted was oatmeal for breakfast to warm me up. We had a bunch of Honeycrisp apples in our fruit basket, so I decided to top my basic oatmeal recipe with cinnamon apples cooked in a skillet. The recipe is so simple and it takes less than fifteen minutes from start to finish. I got my oatmeal cooking on the stove and then sautéed my sliced apples with a little bit of vegan butter, cinnamon, nutmeg, and brown sugar. After I assembled my oatmeal bowl, I topped it all off with chopped walnuts and a bit of maple syrup. This oatmeal is AWESOME- and it will make your whole house smell like heaven. 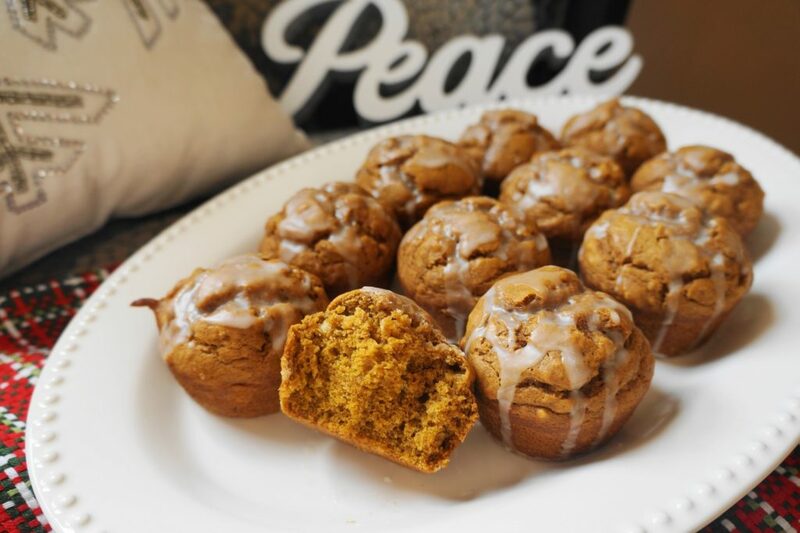 Definitely a go-to recipe for the Fall and Winter months. I’m thinking about going apple-picking specifically so that I have a ton of apples and can make this oatmeal on the regular. 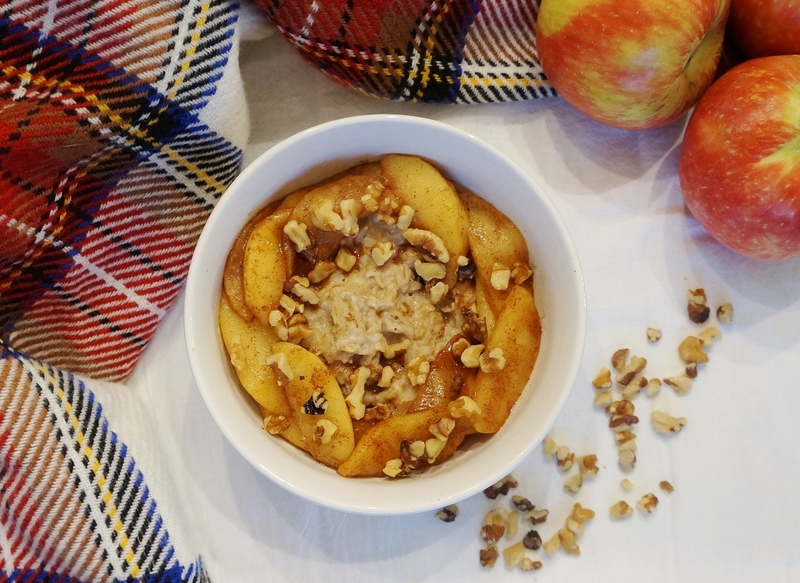 This Oatmeal with Skillet Cinnamon Apples tastes just like apple pie, but is a healthy and nourishing breakfast that you could eat any day of the week! Note 2: The nutrition information for this oatmeal may initially seem like it has a high amount of sugar, but 22g are from the Honeycrisp apple! Boil almond milk, water, cinnamon, and a pinch of salt in a saucepan over medium-high heat. Add the oats and cinnamon and cook, stirring frequently until thick and creamy, about 5-7 minutes. Remove from the heat and transfer the oats into a serving bowl. While the oats are cooking, peel the apple and cut it into ½ inch slices. Heat a small skillet over medium and add the vegan butter. Once the butter is melted, put the apples in the skillet. Sprinkle the cinnamon, nutmeg, and brown sugar over the apples. Cook, stirring occasionally for about 7-8 minutes or until the apples are softened and cooked down. When the apples are finished, pour them on top of the oatmeal. Sprinkle with nuts and drizzle a little pure maple syrup over the apples, if desired. 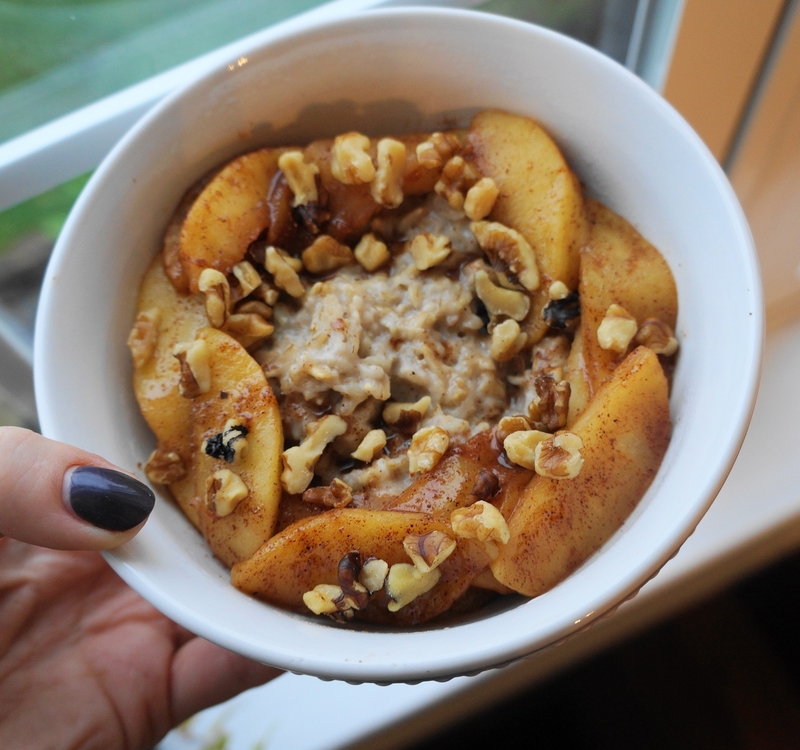 Serve the Oatmeal with Skillet Cinnamon Apples immediately. Whenever Fall is approaching, I feel the urge to switch from cold to warm breakfasts. When the mornings get chilly, I crave a warm meal to start my day and I toss aside my regular overnight oats and smoothies for hot oatmeal, eggs, and protein pancakes. One of my favorite breakfasts is a big egg and vegetable scramble with a side of this Spicy Sweet Potato Breakfast Hash. It’s a great way to get a ton of vegetables in right away and it’s nice and warming for those Fall and Winter mornings. This isn’t just a great breakfast meal, though—it also makes a really awesome dinner. I could eat traditional breakfast foods all day every day, so it’s no surprise that I LOVE having breakfast for dinner. These pictures are actually from a breakfast for dinner night, so I promise it makes a great dinner! The egg scramble in this photo was made with eggs (duh), mushrooms, bell pepper, onion, and spinach and I also served some Morning Star sausage patties on the side. I love swapping regular white potatoes for sweet potatoes whenever I can. Sweet potatoes contain a huge amount of Vitamin A (hello healthy eyes! ), along with more Vitamin C and fiber than regular white potatoes. 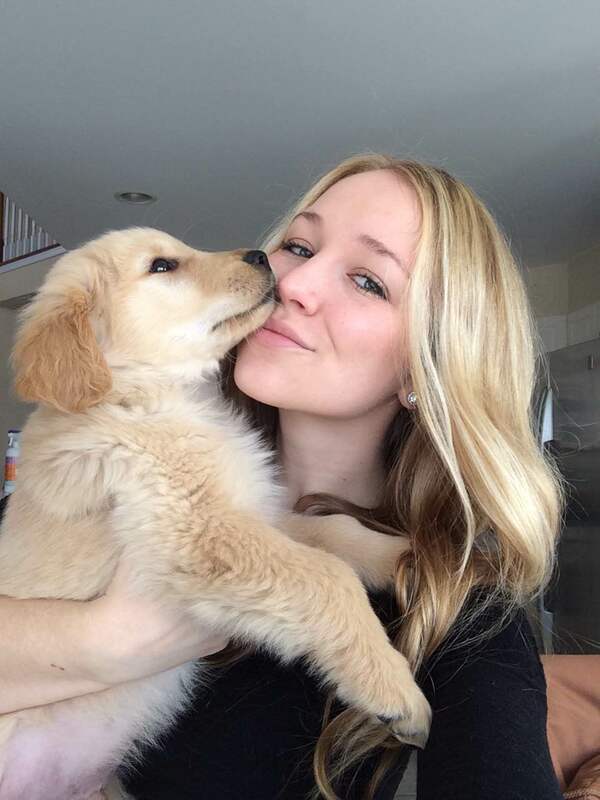 They also contain fewer carbs and calories-so you can eat more, right? Try this delicious Spicy Sweet Potato Breakfast Hash with your next breakfast or breakfast for dinner and I promise you will be satisfied. If you try it, let me know in the comments—or take a picture and tag @busygirlhealthyworld on Instagram so that I can see it! NOTE: This recipe easily doubles or triples if you’re serving a crowd! Preheat oven to 425 degrees F. Line a baking sheet with foil and set aside. Peel sweet potatoes and dice into ½ inch cubes. Transfer to a large mixing bowl. Finely dice the bell pepper and onion and add them to the bowl. Drizzle vegetables with oil and sprinkle with all of the spices. Toss to coat. Turn the bowl out onto the baking sheet and bake in preheated oven for 10 minutes. Remove from the oven, flip vegetables with a spatula, and return to the oven for 10 more minutes.